The property is prominently situated at the junction of Westbourne Park Road and Ledbury Road, and thus lies in the heart of Notting Hill, close to Portobello Road and Westbourne Grove. 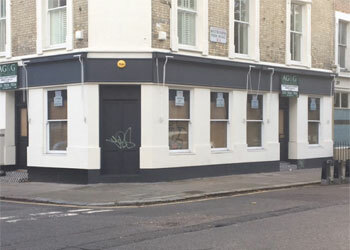 Neighbouring businessess include The Ledbury, The Rum Kitchen (in All Saints Road), The Royal Oak and The Westbourne on Westbourne Park Road, together with CP Hart and West One Bathrooms showrooms. View location map. Offers are sought in the region of £90,000 per annum exclusive, payable quarterly in advance, subject to five yearly upward only review. A new effectively full repairing and insuring lease is available for a term of up to 20 years, to be taken outside the security and tenure and compensation provisions of the Landlord & Tenant Act 1954. Lessee to meet reasonable share of insuring and maintaining common building structure. t is understood that the property has the benefit of a Premises Licence permitting the sale of alcohol from 10am to Midnight Mon-Sat and until 11.30 pm on Sunday. Energy Performance Asset Rating 100 (Band D) Copy certificate and recommendations on request. The local authority has verbally informed us that the rateable value for the premises is £91,600 and the rates payable for the current year ending 31/03/18 are £21,906. Interested parties should make their own enquiries and confirm: - Royal Borough of Kensington and Chelsea business rates department 020 8315 2082. The property is VAT opted and VAT will be chargeable in addition.